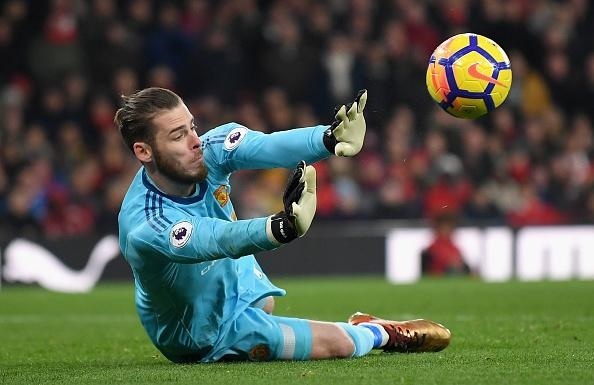 David De Gea put up a man-of-the-match display on Saturday as Manchester United beat Arsenal 3-1 at the Emirates in a thrilling encounter. Jesse Lingard scored twice as 10-man Manchester United punctured the proud 12-match winning streak of the Gunners. Antonio Valencia opened the scoring in the fourth minute for the Red Devils after linking up with Paul Pogba and drilling the ball through the legs of Petr Cech from 15 yards. The second goal for United came after 11 minutes through Lingard, who benefited from a fine Anthony Martial lay-off before converting in off a post. Arsenal had numerous chances but they were continually denied by the heroics of De Gea and their profligacy. In the second half, Arsenal gave a hope of a fightback as Lacazette did pull a goal back for the Gunners just after half-time but Lingard restored United's two-goal cushion with a tap-in after 63 minutes. However, what could have been a perfect outing for United was blighted with the Red card collected by Paul Pogba. The French man needlessly stamped on Hector Bellerin and would now miss the crucial Manchester derby next week. With over 38 attempts Arsenal could just score a goal in Saturday's encounter.